I met up with Sonya, gathered the artwork and we hung it up in the gym. It’s a testament to the project Sonya came up with and the kids creativity how wonderful it looks in the gym. 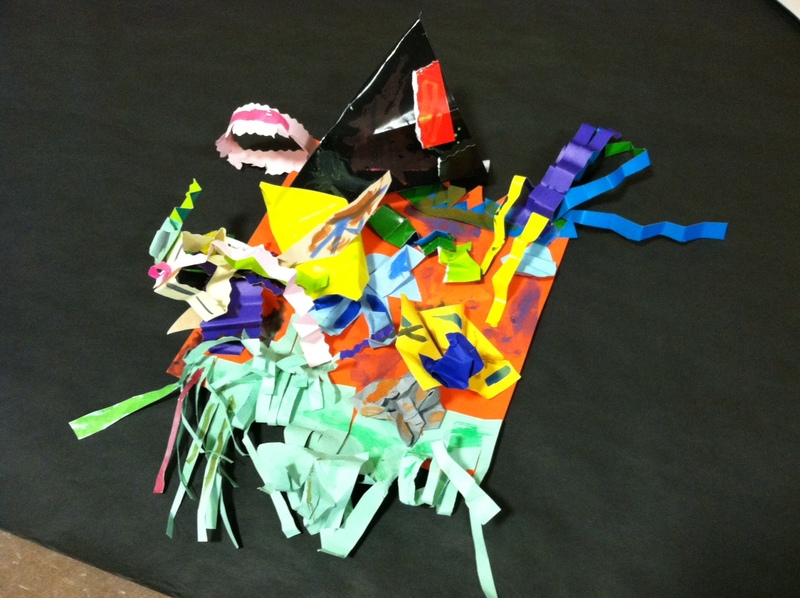 The kids all made 3D abstract paper collages and according to their artists statements, really surprised themselves, enjoyed the process, and loved the results. The actual exhibit is tomorrow for the kids and their parents and I’m so sad because I can’t be there because I have school! 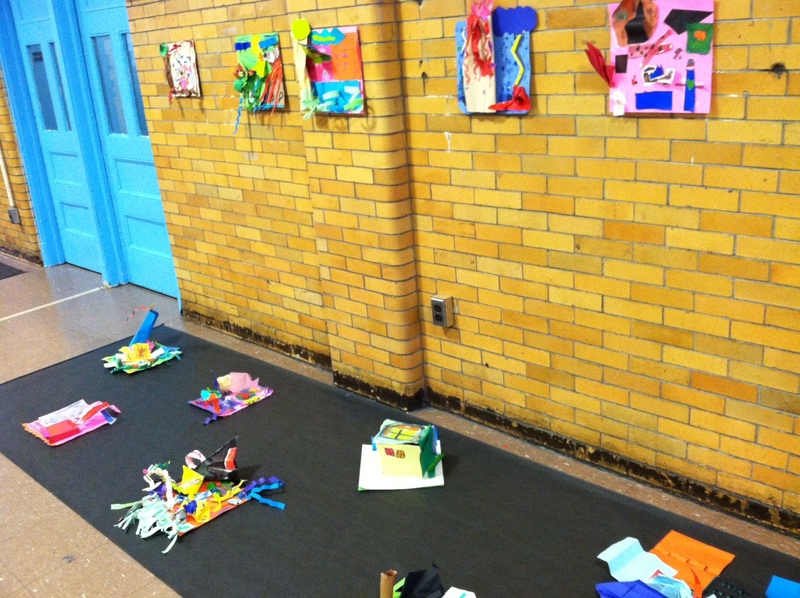 In any case I’m really glad that all of the kids get to see their art on the walls and get to show their families and not just the kids whose work got sent to the Guggenheim. Speaking of which, the “A Year with Children” exhibit is opening soon and I encourage everyone to go see it. I can’t wait to bring Aiden. I will obviously use this opportunity to include a picture of the guy. 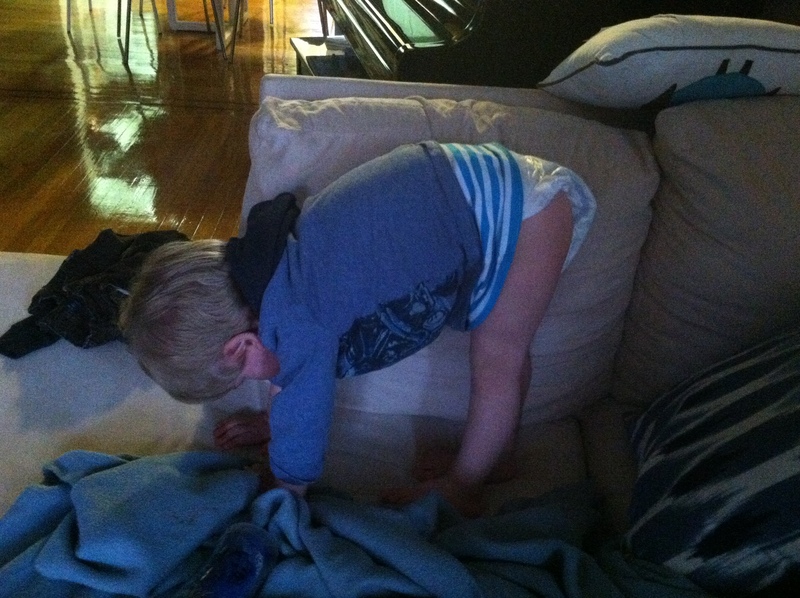 You can see how cultured he is, he does yoga.